An increasing number of people utilize the Internet and web-based social media to access information about products and services. As a result, your businesses’ website is usually the first, and often the only, impression prospective clients get of what you are offering. It says who you are and what doing business with you will be like. That is why good website design and development isn’t just important, it is vital. A well-designed and up-to-date website can attract customers and boost income. Get it wrong and customers will move on to the next best offering. People are visual beings and a visually appealing website design is important, but good quality website design covers much more than the aesthetic appeal. The website’s design has an impact on the entire internet presence – from traffic and conversion rates to SEO and branding. Effective design is much more than creating a good looking website; it needs to be functional and incorporate the latest available technological features. Visitors need to find information on the products and services they’re searching for quickly and efficiently. Furthermore, the business wants visitors to stay on the site as long as possible, and ultimately take action. The website has to capture and engage the visitor, and importantly, delivers what it promises. In the end, optimal website design comes down to a harmonious merger of logic and original ideas. The ease of use is a crucial element of good website design. There’s no point cramming everything onto a website if it leads to visitor frustration and irritation. Menus and buttons should be easily accessible and easy to understand. There may be a temptation to include loads of information, but people already suffer from information overload. Too much information can distract and confuse. It is important to include all the crucial information on the site, but sometimes less is more. An uncomplicated site that is designed from a user’s point of view, will deliver all the necessary information. It should also be quick to load since the speed of use is vital to retain customer interaction. Web designers have to ensure that the layout of a site is logical and easy to navigate. Navigation buttons should be clearly visible at the top of the page and ordered in a logical manner. The correct use of colour is also important, it’s usually best to colour-code so that the various product or service ranges available are grouped together and easy to find. Good website design should ultimately be intuitive and rational. When visitors to the site can’t easily and quickly find what they’re looking for, the get frustrated and will often leave the site. When a business has a large website with many pages, the navigation is particularly important – it can literally make or break the site. The website needs to be consistent with the business’ brand. The look and feel of your company website need to reflect that of your brand, how the business wants the world to see it. The website of a modern, vibrant business that targets a modern, vibrant consumer should reflect that. A business with an established brand should ensure that the website reflects the important aspects of that brand and adds to the overall marketing effort. Since an increasing number of users do business on mobile devices, it’s important that customers recognize the brand in all forms of communication; from mobile phones to print. The future development and refinement of the site should be taken into account. A website is not a static thing and the designer should make allowance for ongoing refinement. The website will be an important part of the business’ growth and it should be able to develop and grow with the business. There should be sufficient capacity so that the future development of the site can be smooth and seamless. Who should a business choose to develop and build their website? There are a number of cost-effective, off-the-shelf web design products available, and there’s nothing wrong with using one. However, it is preferable to employ a competent and experienced website designer. They have experience, know what they’re doing and understand your particular business needs. The best possible website is a key feature in the future of the business. It just makes sense to choose carefully and find someone that can deliver what you need in order to prosper. 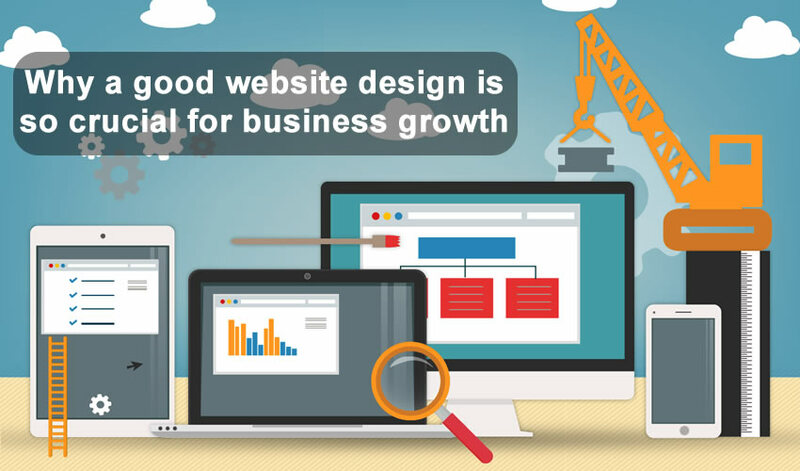 A business that manages to get its website design right will attract prospective customers to its website. They will stay that little bit longer because the website provides all the information they require, probably take action and ultimately become customers. AfeesHost Web Designers can help you with everything you need to get better online. We can handle your entire digital strategy, website, domain name registration, web hosting, profiles in social media, digital marketing and all the complicated technical details to successfully expand your online benefits. Contact us if you have questions or need help! You can reach us by sending us an email with your questions: info[@]afeeshost.com or leave your contact information below and we will be back to you as soon as possible.